The Tall Fescue experiment at the Hamilton Proof Site aimed to determine best practice establishment and management strategies for summer active tall fescue. 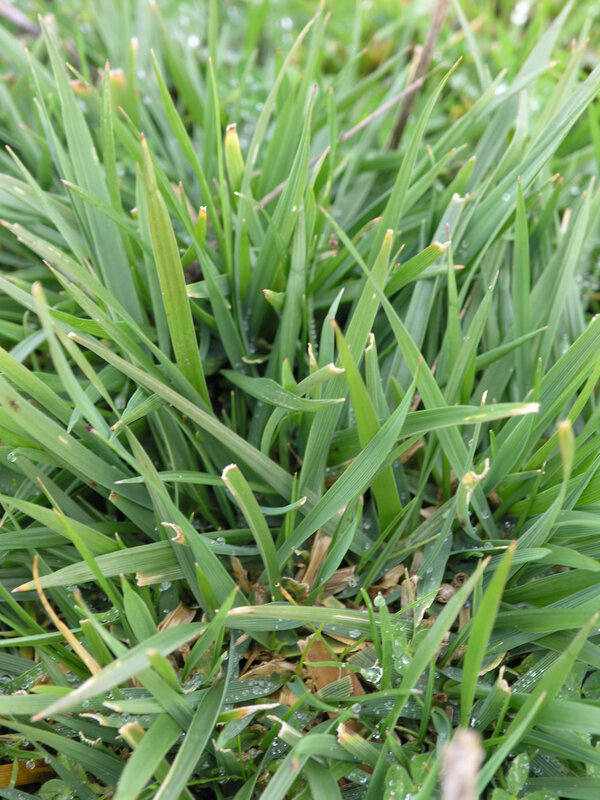 Summer active tall fescue is a suitable option for heavy, waterlogged soils. It is capable of responding to summer rainfall, providing out-of-season green feed. The biggest issues with summer active tall fescue are its slow establishment and vigorous spring growth which makes quality difficult to maintain. 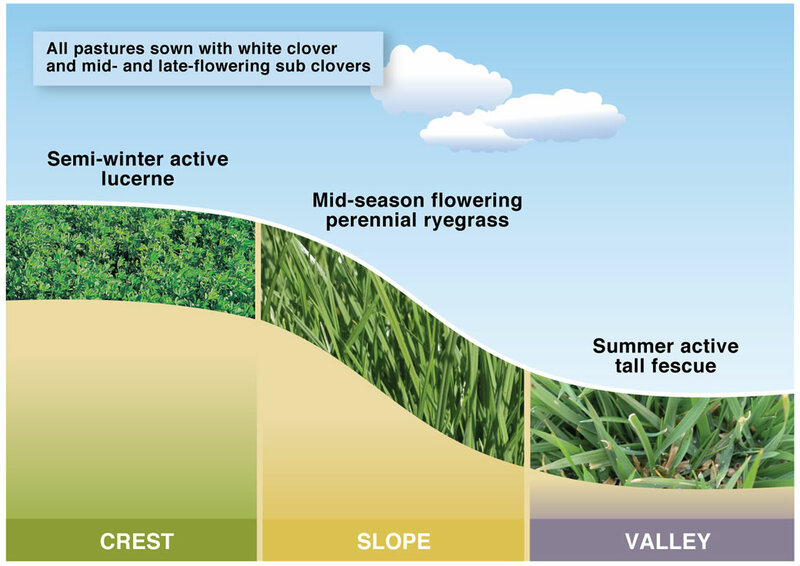 At the Hamilton EverGraze Proof Site, summer active tall fescue was sown on the valley floors as part of the “Triple System” (Figure 1). Sowing depth (5, 10, 20 or 35 mm) and rate (8, 16, 24 or 32 kg/ha) were tested for their influence on seedling emergence and density of summer active tall fescue. The grazing management trial was established in spring 2004 and was subsequently over-sown with subterranean clover and white clover. Between October 2006 and October 2008, set stocking was compared to rotational grazing at three different intervals. Set stocked plots were grazed to maintain approximately 1200 kg DM/ha at all times. In the rotations, stock were grazed when the fescue recovered two, three or four leaves on each tiller, and removed when 1200 kg DM/ha remained. Plots were grazed by Merino or Coopworth ewes. Raeside MC, Friend MA, Behrendt R, Lawson AR, Clark SG. Tall fescue establishment and management in south west Victoria. New Zealand Journal of Agricultural Research 55, 31-46. Raeside MC, Friend MA, Behrendt R, Lawson AR, Clark SG (2012) A review of summer-active tall fescue use and management in Australia’s high-rainfall zone, New Zealand Journal of Agricultural Research, 55, 393-411. Fribourg HA, Hannaway DB, West CP, (eds) (2009) ‘Tall Fescue for the Twenty-first Century. Agronomy Monograph No. 53.’ (American Society of Agronomy, Inc, Crop Science Society of America, Inc and Soil Science Society of America, Inc: Madison, Wisconsin, USA).